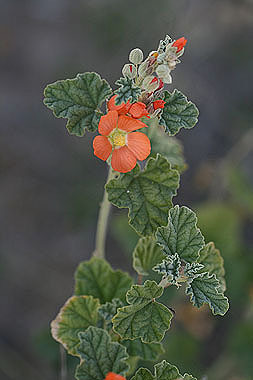 Sphaeralcea parvifolia is native to the western edge of Colorado, but is not recorded in eastern Colorado. The plants in the photos were found at Rocky Mountain Arsenal National Wildlife Refuge (northeast of Denver) and may have been introduced. Leaves of S. parvifolia are shallowly lobed and wrinkled, similar to the leaves of Common Mallow (Malva neglecta). 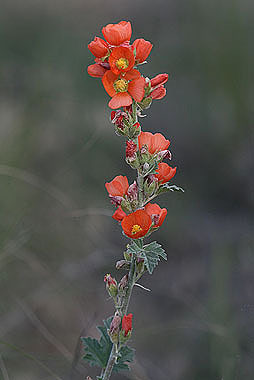 Compare to Sphaeralcea coccinea, which is a common plant along roadsides in eastern Colorado. S. coccinea has deeply lobed leaves and a low growth habit.